SmartFloor is engineered for strength, with no natural splits along the grain. A single layer of SmartFloor in a 10'x20' shed has a huge 40,000-pound live load rating, about five times what most housing codes require. For parking a vehicle, we recommend doubling a SmartFloor. Engineered wood stays stronger longer, resistant to moisture, termites and fungus. Weight is not the best guide to floor strength. Consider – to a termite, a heavy plank floor is just a bigger meal. The validated strength data of engineered wood is far more reliable. 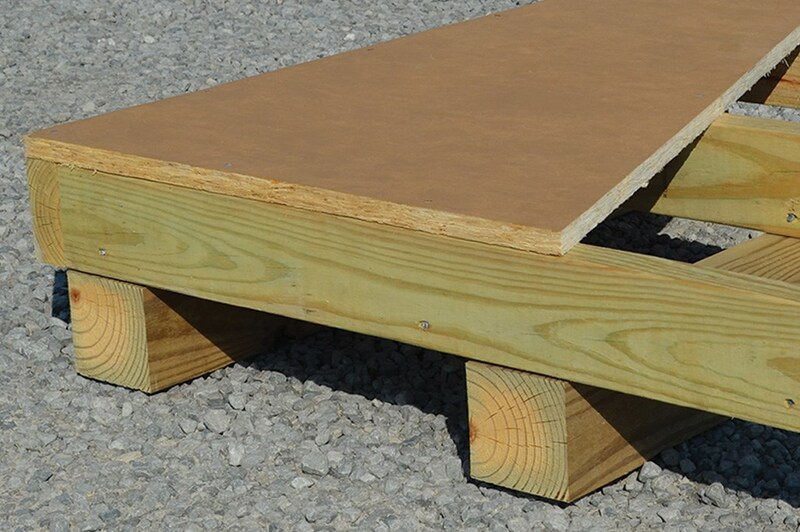 This double SmartFloor with standard 16" OC joists on edge shows no deflection from a semi truck's weight. 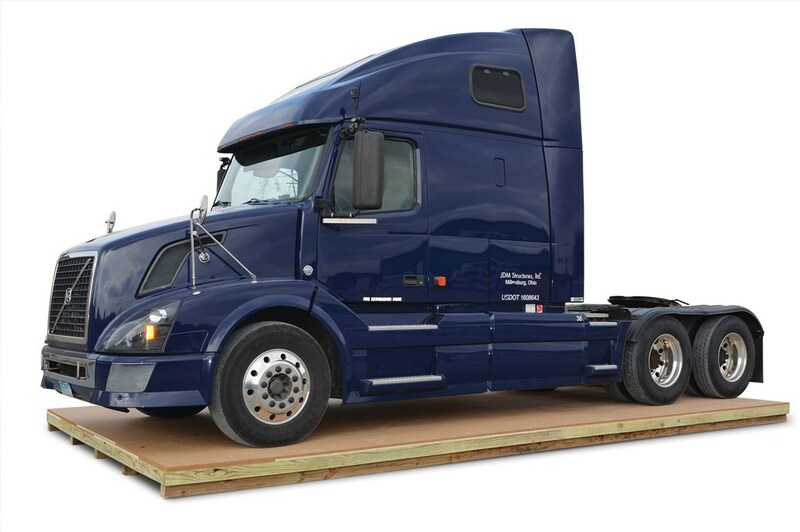 We don't expect you to park a semi truck on a wood floor, but you could! 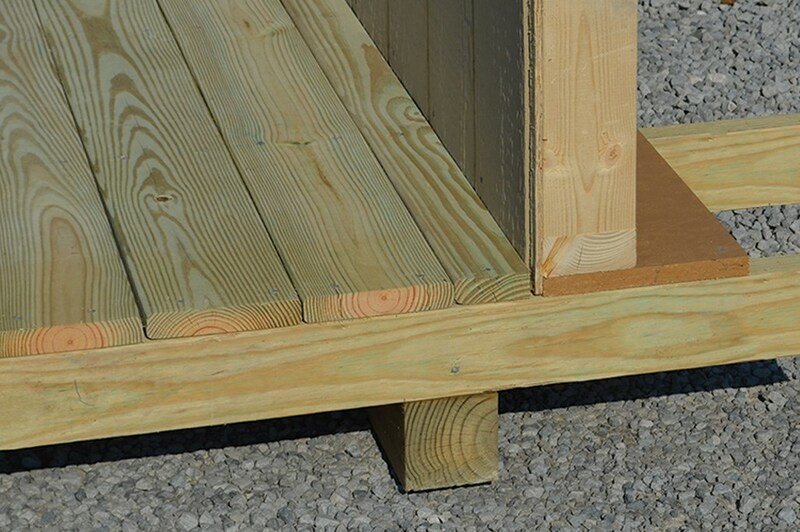 Our floor joists are installed on edge, multiplying strength and stability. Treated joists are standard on Signature, available on New England. Skids are treated and SmartFloor is treated with SmartGuard. In our porch sheds, joists are run properly – crosswise under the building and out under the porch. Lengthwise allows a porch to settle or even separate. Siding goes down to the joists, so rain or melting snow is blocked from the interior.